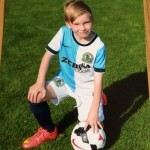 Owen started his football development journey at TQ Super Soccer Saturdays Age 5 before we ask him to attend further development sessions at Blackburn Rovers FC. A number of clubs such as (Man City, Liverpool FC) asked him to then attend their development squads but it was Blackburn who signed him. Owen continues his development with us by attending our Super Soccer Camps in Whiston each holiday period. We will continue to help Owen in his development…Keep up the hardwork and enjoy playing! We work with Felix during our school PPA provisions, he has also attends our TQ Midweek Skill School in Whiston and did 15x weeks at our Pre Academy on completion of this he is now attending Wigan Athletic FC and Blackburn Rovers FC for further development…We will continue to support Felix in his development through our TQ Midweek Skillz School and also TQ Super Soccer Holiday Camps Whiston…Keep up the hardwork and enjoy learning! Lenny started with us just under a year ago at TQ Midweek Skillz School and also TQ Super Soccer Camps in this time we have seen a huge improvement in his skill development which has saw him now attend Man City Development Squads and also currently attends Blackburn Rovers FC…Lenny continues to attend TQ Super Soccer Camps in the holiday periods…We will continue to support Lenny in his development…Keep up the hardwork and enjoy playing! Parent Comment: Oliver has attended TQ since the age of 4. He has made fantastic progress at TQ resulting in him being with Blackburn u6’s since he turned 5 and Liverpool u6’s since he was 5 1/2. 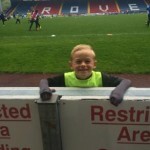 Oliver still attends TQ sessions and Holiday Camps which continue to aid his development. 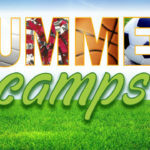 TQ provides excellent coaching and a great environment for kids of all ages to enjoy and develop their football skills. Trialed at Everton FC and now attending sessions at Liverpool FC. Alex started his first introduction to football through TQ Sports (Super Soccer Saturdays – Ormksirk) at just 3 years old. At the age of about 5yrs old he attended Everton FC for a short period before coming back to TQSC, to develope technically. We then arranged for him to go and train at Liverpool FC Academy since then he has not looked back and continues to show progress due to his desire to listen and learn. 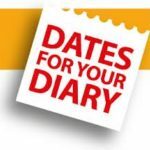 During Holiday periods he and his brother regularly attend TQSC Holiday Camps – Ormskirk. 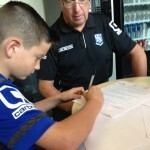 Trials with Blackburn Rovers FC, following a 6 week trial period with Tranmere Rovers FC he signed his first contract with an academy. Alfie started on our Super Soccer Saturdays before progressing onto TQ Football Academy. He regulary played with older boys but showed character and desire to retain possession. We look forward to seeing Alfie develop further in 2017 following his 2nd season in the academy set up. 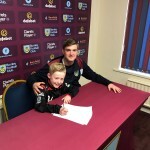 Dylan Started out on TQ Super Soccer Saturdays at the age of 4 and progressed through the age groups with us before moving to our more advanced TQ Pre Academy Sessions whilst attending club trial periods. 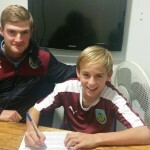 In 2017 he has now signed his 1st Academy contract. As we say to all our players this is when the real work begins. He has a superb attitude to learning and shows a desire to practice with purpose at all times. Keep up the good work! 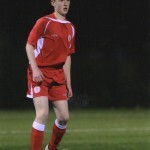 Attended training at Everton FC, before attending a trial with Burnley FC were he signed as a YDP player.